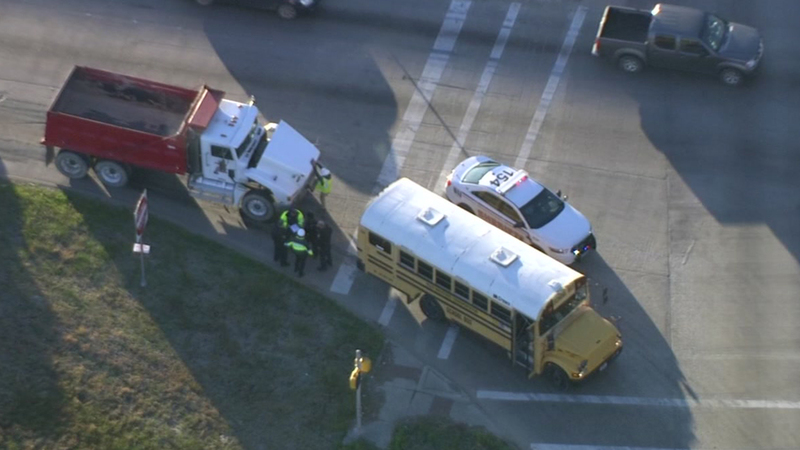 HOUSTON (KTRK) -- Eyewitness News has learned a bus and a dump truck have collided in east Harris County on the Crosby Freeway at Beltway 8. We've learned it was a private school bus. There's no word on the occupants of the bus. We're hearing EMS is arriving to check on them. We're following this story on air and online and on our app. Watch for updates on abc13.com and Eyewitness News.